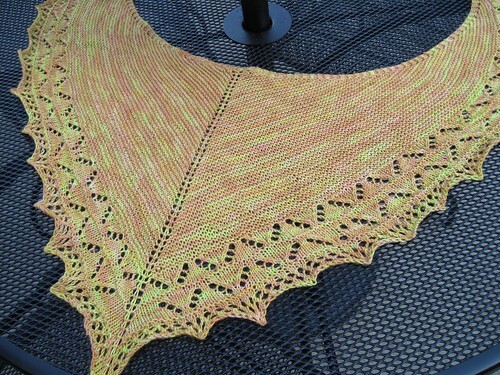 Lately, there had been some questions about whether you can make the Carefree shawl bigger. The way the pattern is written right now, it's possible to make the garter stitch portion larger. Repeat rows 2 & 3 61 more times (instead of the 41 the pattern says). Repeat Row 2 once more (387 stitches). 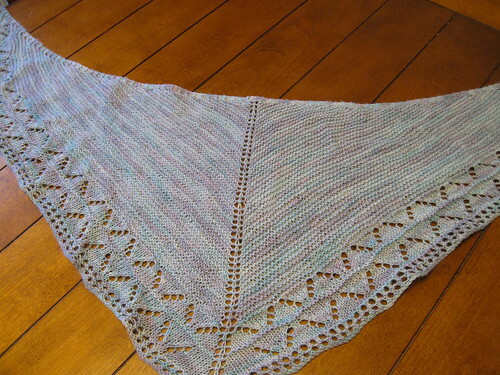 Knit Lace Chart 2 (447 stitches total). Continue Lace edging as directed in pattern. As of right now, the way the lace portion is written, you cannot just keep repeating charts 1 & 2 to increase the lace section. That is something I will be working on in coming weeks to update the charts so that you could make that section larger as well. 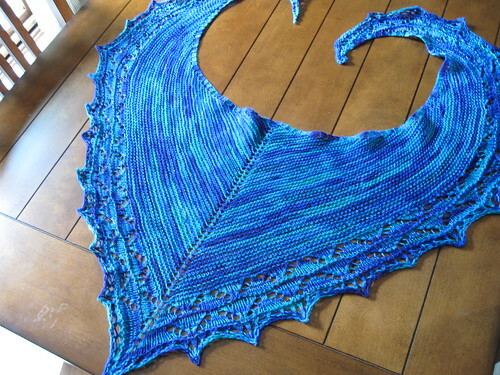 Remember, if you want to make it bigger, you DEFINITELY are going to need a second skein of yarn. 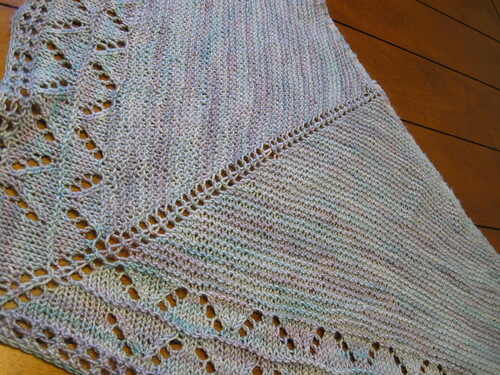 I am on my fifth Carefree, and I can tell you, the first four did not yield tons of yarn at the end. Definitely not enough to make a bigger version. Once I get the pattern updated an update will be available on Ravelry. So, if you have already purchased the pattern, you will be able to just redownload it for free to have those changes available in the pattern. I am thinking this will be available sometime in late March. And, remember, if you ever need any help with my patterns, I am always here to help! Just contact me on Ravelry (knitlikecrazy) or via email (jen AT knittinglikecrazy DOT com).